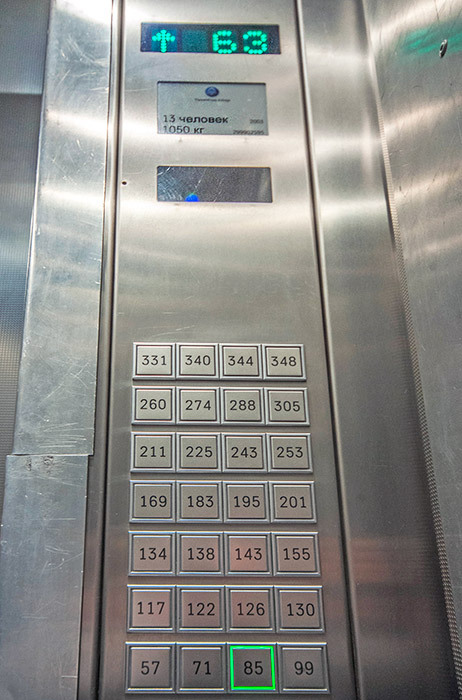 Visitors can use one of five express elevators or take the one thousand seven hundred steps to go up 337 meters. Observation deck visitors get to their destination in 58 seconds. Moscow’s Ostankino TV and BC Tower is the eight tallest tower in the world. It reaches 540 meters (1771 feet) high and is included on the list of World Federation of Great Towers. A spellbinding view awaits you here, a panorama of Russia’s capital from 337 meters (1105 feet) above the ground, as well as an open-air observation deck.